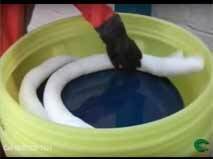 ENSORB™ Super Absorbent is a non-toxic, non-flammable, environmentally safe and friendly, lightweight and powerful substance that can absorb and hold all liquids* while leaving little or no residue. 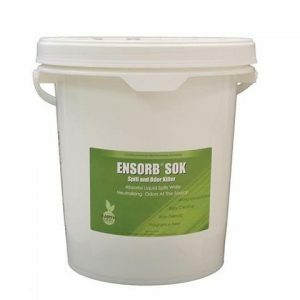 Less than half a pound of ENSORB™ Super Absorbent can completely absorb one quart of motor oil without leaving any residue to re-clean. Clay, earth, and sand products require 15 pounds of material to absorb the same amount and would leave a slippery residue. Spill & Odor Killer – Neutralizing & Odor-eliminating absorbent! 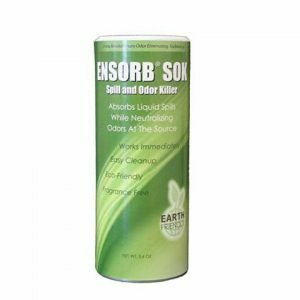 Quickly neutralize odors at the source with ENSORB SOK, the revolutionary odor eliminating absorbent! Effective and environmentally safe, this rapid-action Spill and Odor Killer is safe to use around kids, pets and virtually anywhere! Ideal for larger spills and refills, the 5 and 15 gallon SOK units will tackle your biggest, nastiest spills with no fear of lingering odor or residue. 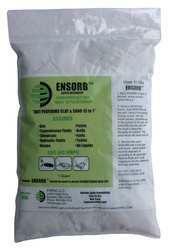 Quickly neutralize odors at the source with ENSORB SOK, the revolutionary odor eliminating absorbent! Effective and environmentally safe, this rapid-action Spill and Odor Killer is safe to use around kids, pets and virtually anywhere! Perfect for airplanes, busses, commercial kitchens, classrooms and more; SOK Kits are small to store and easy to use. 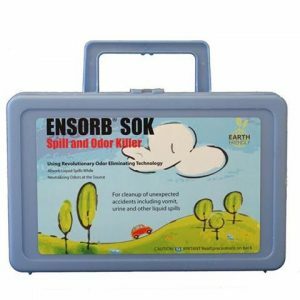 SOK Kits include everything you will need in the moment you need it most with it’s borad efficiency and effective odor control. 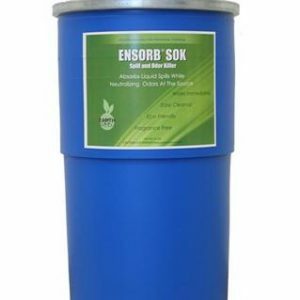 Quickly neutralize odors at the source with ENSORB SOK, the revolutionary odor eliminating absorbent! Effective and environmentally safe, this rapid-action Spill and Odor Killer is safe to use around kids, pets and virtually anywhere! No masking agents here! SOK’s patented non-chlorine formulation chemically traps and destroys odor-causing molecules. This convenient SOK Shaker is ready and waiting to be your handy fix for all spills.